For two complete minutes the only movement is our tears. We stood very still, silently filled with sober remembrance as the sirens rang out. They seemed more real this time, more heart wrenching. They were louder this year—the kind of loud that goes straight through one’s body. It felt strange to hold still during a siren; typically they are what call us into action, but this time they called us to remembrance. I remembered this day as a child growing up in the States. My mom would watch YouTube videos of fallen soldiers and victims of terror. We would stand with Israel from afar, read the names, see the faces, and hear the stories. My mom would light a twenty-four-hour remembrance candle and place it in the middle of our kitchen counter. It was around this time in 2013 that I spent Yom HaZikaron (“Israel’s Remembrance Day” for fallen soldiers and victims of terror) on my Air Force base in the center of Israel. It was much different than anything I had ever experienced. Perhaps it was being in uniform, or perhaps it was that I had spent the previous year of my life fighting for what so many young people had died for. Perhaps it was being around individuals who had actually had someone taken from their life in an act of terror. I was no longer watching a two-minute video of faces flashing by; it was seeing deep pain in my friends’ eyes because their baby brothers had been murdered by malicious, horrendous acts of terror. It was watching my commander cry because his uncle had been killed in action. It was experiencing my country’s pain as I stood in defense of her. 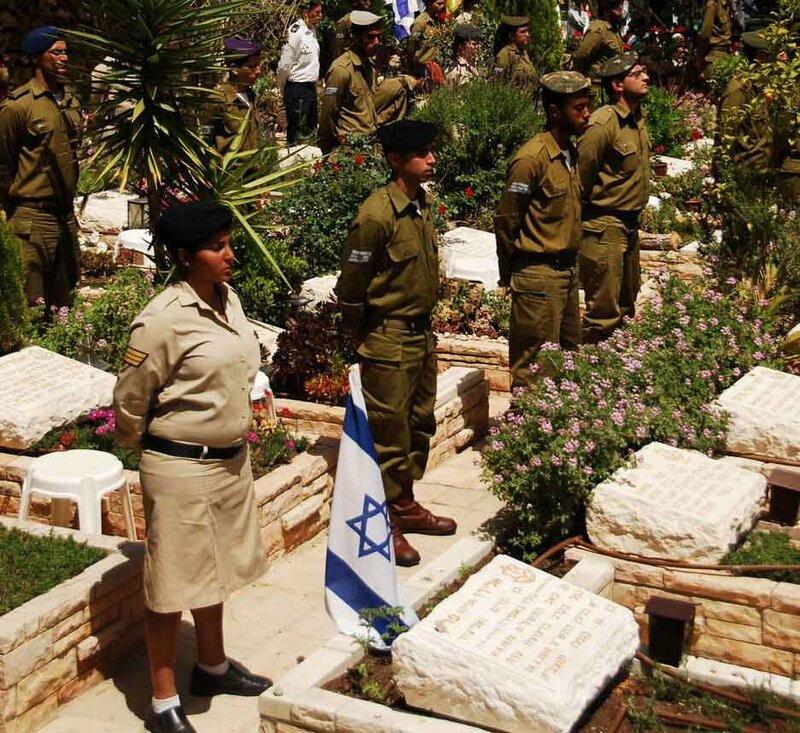 During Basic Training, we had taken a trip to Har Herzl, Israel’s military graveyard. The trip had been life changing as I read the names of fellow soldiers who died in defense of my freedom. Alongside their names were small letters etched deep into the stones—18, 18, 19, 20, 18, 19, 20, 21, 18, 19. Hundreds of kids, younger than I, buried underground, taken much too early. I kept thinking of my younger siblings. These kids whose ages were engraved in stone, these soldiers, had not been much older than my own little brother and sister. At first it had been sad, and then I just became numbing—they had all been so incredibly young. 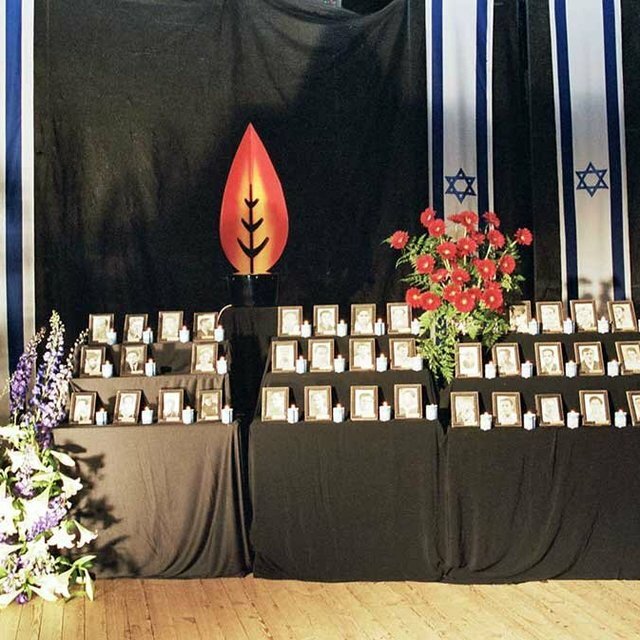 On the day of Yom HaZikaron, ceremonies take place all over the country of Israel. Military men salute, government officials give speeches, people gather around graves of fallen soldiers, flowers are delicately placed on graves of loved ones, and soldiers dress in their best to show respect. Part of Remembrance Day is standing still as a two-minute siren screams over the entire country at exactly eleven in the morning. For two complete minutes the only movement is our tears. Those never really stop. We stand as the sirens shake our bodies and the sobs of our mothers ring in our ears. As I stood with my unit I thought of those stories that had affected me. I thought of the soldiers who had died to protect my family and me in Israel. One especially close to all of us Lone Soldiers (those in Israel without parents) was Michael Levin, a young paratrooper (also a Lone Soldier) who died in the Second Lebanon War. His was an incredible story of courage and love for Israel. I had often thought of him throughout my own service—such love he had for our country. He was twenty. Udi, 36; Ruth, 35; Yoav, 11; Elad, 4; Hadas—4 months … Here lies the Fogel family. They had been brutally murdered when a terrorist entered their home in the evening and killed three of their five children along with both parents. Suddenly they weren’t just names any longer. 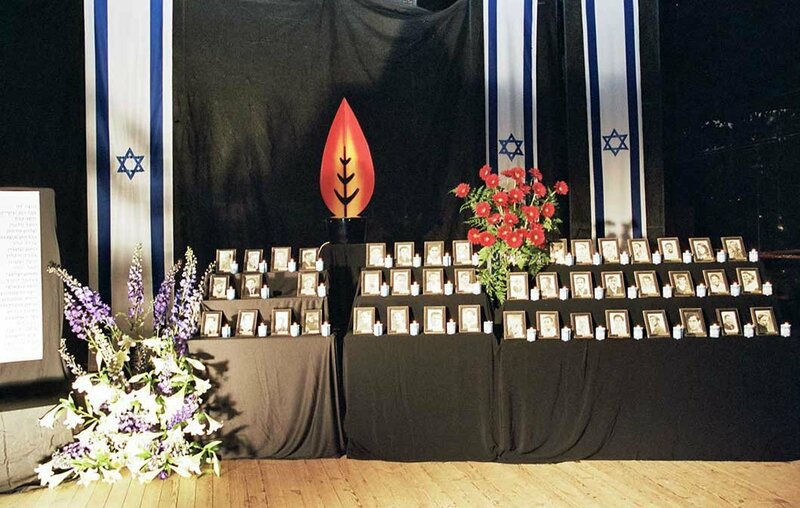 You should read their story for yourself this year on Yom HaZikaron. These are the names I thought about as the siren screamed. So many soldiers before me who had lost their lives for the dream of a free country—here I was standing in silence for them. So many innocents’ lives taken brutally in acts of terror. I looked up and saw the Israeli flag above us flapping in the wind. I guess she moves with our tears too. Adapted from: Messiah Magazine Issue #5, 2014.